Contact IC card internal RAM,ROM and EEPROM memory, such as storage capacity to achieve megabytes, can store text, sound, graphics, images, etc. Storage area can be partitioned, have different levels of access. Can read and write control circuit on its internal data, erasing control and read technical is random. Encryption IC card itself has a security password, if you try to illegal access to data, self-destruction, the card cannot be read and write. Operating independently completed by the terminal in the use of reduced dependence on computer network, used in the environment of the network quality is low. More than ten years of life. Hard to fake. Read and write simple equipment, easy to promotion, maintenance is convenient. Application: the financial, taxation, public security, transportation, post and telecommunications, communications, service, health care, insurance, etc. Storage capacity: 1K bit, no password, only to read and write two operations. Application: apply to data storage. Memory capacity: 16k bit, no password, only read and write two operations. Memory capacity: 64k bit, no password, only read and write two operations. Storage: Encrypted memory card, 1k bit. Points: two application area, capacity of 512 kbit, password counter value is 4, card password 2 bytes, area to erase the password 6 bytes, area of erasure code 4 bytes. Application: medical insurance, data storage, Internet cafes, identity authentication, digital wallet. Storage: Encrypted memory card, 16k bit. Point: a common area and application area, four four application area, each partition has its own password and erase the password, and both have their own password counter in each partition, password are 2 bytes, password counter value is 8. Point: card always can read and write check card must pass as the password, 2 bytes programmable password, the password error count of 8, but on the whole card write protection. 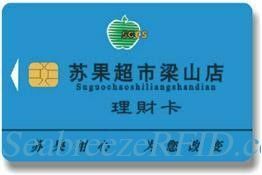 Application: medical insurance, data storage, Internet cafes, highway tolls, electronic purse. Storage: Encrypted memory card, 256 bit. Point: card always can read and write check card must pass as the password, 3 bytes programmable password, the password error count to 3, write protect card before 32 bytes.